We round up the latest injuries from around the league. Editor’s Note: Injuries are a huge part of winning and losing each year in fantasy leagues. Staying abreast of injury situations is key, as knowing what to expect from your players health-wise in the short term can help you make educated decisions in managing your team. Lucky for us, we have a Doctor in the house. Dr. Scott Peak is an ABPN board certified neurologist and neuro-oncologist. He is also a dynasty football addict and a Senior Writer for Dynasty League Football. He’s excited to lend his expertise in medicine with hopes he may help the DLF Team and its followers better understand medical conditions and injuries that may impact NFL players and dynasty football owners. If you have a question for The Dynasty Doctor, just click here. 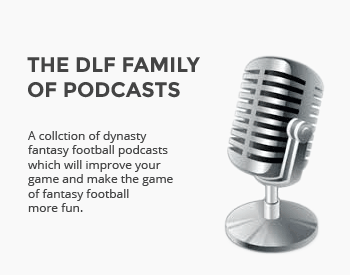 Please remember The Dynasty Doctor is geared towards questions regarding medical science, injuries to players and their collective impact in fantasy football. Stay tuned each week as we’ll post his thoughts each and every Tuesday.